With over 12 billion 140-character messages and growing, Twitter has exploded onto the social networking scene since the first Tweet ever posted roughly fours ago. Those tiny text-based messages add up: That’s an estimated 1.5 terabaytes of data, and growing! It looks like the Library of Congress sees the social impact and significance of the medium, and even believes there is a potential academic treasure trove waiting to be unearthed within this mass of single-sentence missives. And so, the LoC has announced – via Twitter, of course – that it has acquired the entire Twitter archive. That’s right. 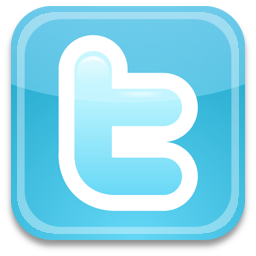 Every public tweet, ever, since Twitter’s inception in March 2006, will be archived digitally at the Library of Congress. So if you think the Library of Congress is “just books,” think of this: The Library has been collecting materials from the web since it began harvesting congressional and presidential campaign websites in 2000. Today we hold more than 167 terabytes of web-based information, including legal blogs, websites of candidates for national office, and websites of Members of Congress. It is our pleasure to donate access to the entire archive of public Tweets to the Library of Congress for preservation and research. It’s very exciting that tweets are becoming part of history. It should be noted that there are some specifics regarding this arrangement. Only after a six-month delay can the Tweets will be used for internal library use, for non-commercial research, public display by the library itself, and preservation. The specific details of the arrangement are still a bit sketchy, and I do have some questions about how this will play out. For instance, there’s not much direct mention of whether this archive will include the numerous photos and videos that are frequently linked to users’ tweets, but are often hosted via third party add-on sites such as TwitPic and Posterous. A lot of Twitter users tend to use the platform as a springboard towards linking to websites and other external content, the permancnce of which can be pretty dubious. This is still a very promising start though, and hopefully the archived twittersphere will in fact prove useful to researchers in the future. Some may question the importance or singificane of this decision. But Twitter isn’t just mindless banter. The LoC lists a few socially significant tweets in the archive. Among them, the first “Victory tweet” by a president-elect. There’s also quite a bit of historical influence that was set in motion by Twitter: political prisoners in the Middle East have used it to get their message across to followers; sometimes it was the very medium that got them into trouble, and other times it spread the word that helped set them free. Politicians in the West from all ends of the political spectrum have and continue to use Twitter to marshall their troops, as it were. And the media have documented cases where Twitter became the source of social change in countries ruled with an iron hand, so much so that the potential outage of the service due to maintenance was once considered a serious threat to activism. There’s PLENTY of social significance there.